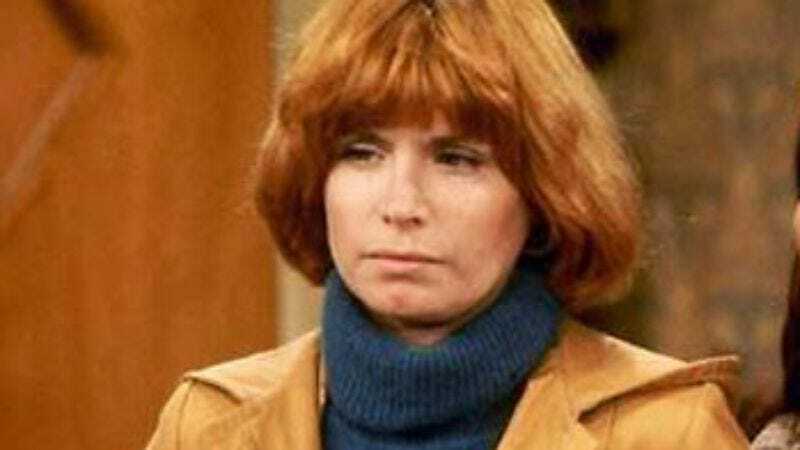 Bonnie Franklin—the sprightly redhead who became a symbol of a new, more liberated era as the star of One Day At A Time—has died, following a bout with pancreatic cancer. She was 69. The Norman Lear-developed series—which its co-creator, former sitcom actress Whitney Blake, loosely based on her experiences raising her own sitcom actress daughter, Family Ties star Meredith Baxter—saw Franklin embodying the growing feminist movement that saw women declaring their independence from traditional wife and mother roles, much as Franklin’s character, Ann Romano, declared her independence from her overbearing husband. Striking out for Indianapolis with her two daughters in tow—played by Mackenzie Phillips and Valerie Bertinelli—Franklin’s determined divorcee sought to make it on her own as a career woman and single mother, turning down offers of marriage from her steady boyfriends, and sassily rebuffing the advances of her building’s sleazy superintendent, Schneider. Over its nine seasons on the air, One Day At A Time built episodes around thorny subjects like birth control, suicide, and sexual harassment, all with a balance of comedy and drama typical of Lear sitcoms. It also endured myriad plot twists—many of them caused by behind-the-scenes turmoil surrounding Phillips’ drug problems—that made the show nearly unrecognizable from year to year. By the time it ended, Franklin’s character had remarried, become a grandmother, and set off for a new life in London. But throughout all the changes, Franklin remained a reliably constant role model for the women both in her fictional family and on the other side of the TV screen.